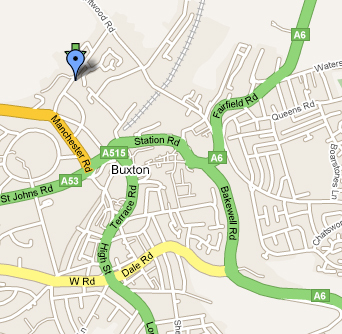 20 Corbar Road, Buxton, Derbyshire, SK17 6RQ. Situated in the historic spa town of Buxton, our beautifully appointed studio apartment is less than ten minutes walk from the Opera House and the town centre, with immediate access to open countryside. We have ample off-road parking and are conveniently placed for all main routes and the railway station. Click here to download a more detailed list of instructions to get to Corbar Bank.